The pre-design of a 450 passenger blended wing body aircraft is finished. 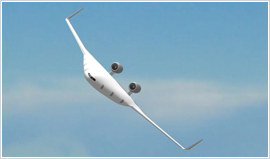 Major objectives for aircraft efficiency were achieved. Dynamic models are forming the basis for the controller design. 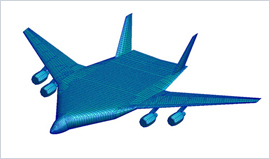 For the large NACRE blended wing body aircraft the generation of dynamic models based on a refined Finite Element Model and aerodynamic data. 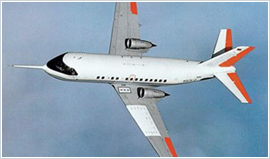 In order to reduce turbulence induced structural vibrations an adaptive feedforward control concept of EADS-IW is verified by flight tests with the ATTAS aircraft of DLR. 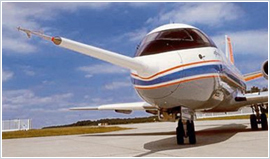 Information from a flight log sensor at the nose boom is used to compensate structural vibrations caused by turbulences.